Gheorghi Arnaoudov is turning 60! and esthetic mysticism that comes from Eastern traditions but also takes an intensely personal form. one of the adherents of the Bulgarian Spiritual Teacher Peter Deunov - Beinsa Douno. “Prof. Pancho Vladigerov” and obtained his Doctorate of Philosophy in the New Bulgarian University.While attending the Music Academy, Arnaoudov also studied composition in Florence, where he explored electronic and concrete music. Upon graduation and completion of his studies abroad, Arnaoudov began establishing a reputation as dedicated composer as well as a theorist. 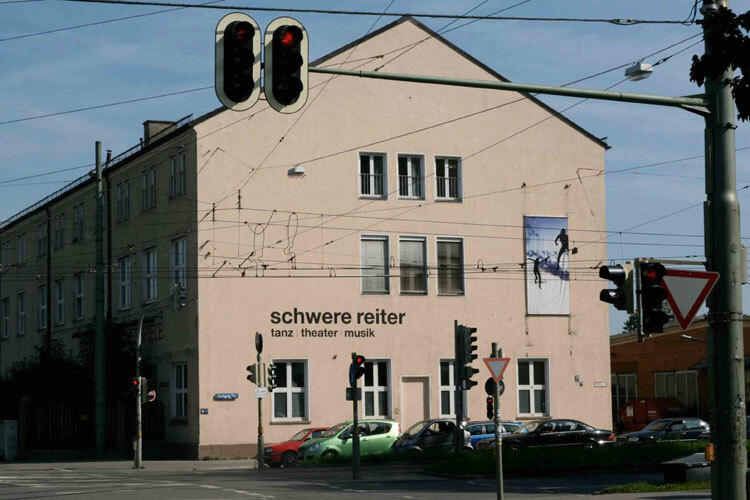 Specializing in modern and postmodern aesthetics, communication and semiotics, he also set himself to exploring ancient and Far Eastern musical forms. 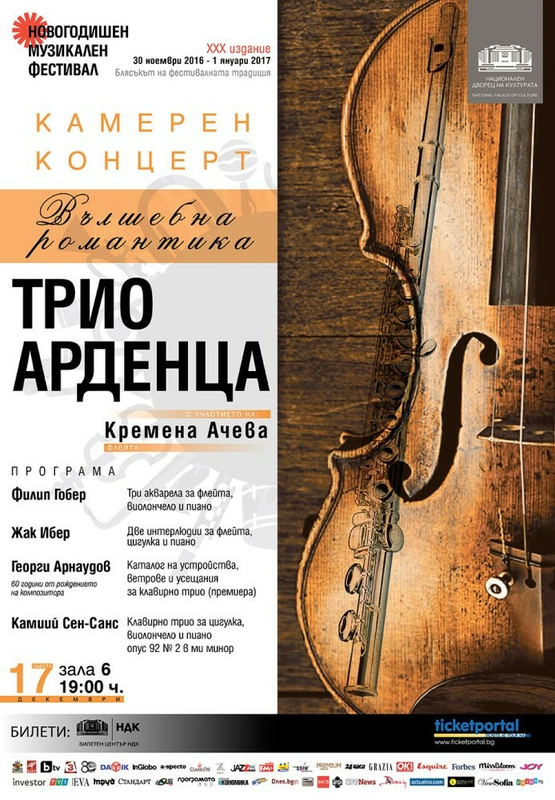 To date Arnaoudov has produced numerous symphonies, oratorios, concertos and has won several international prizes. 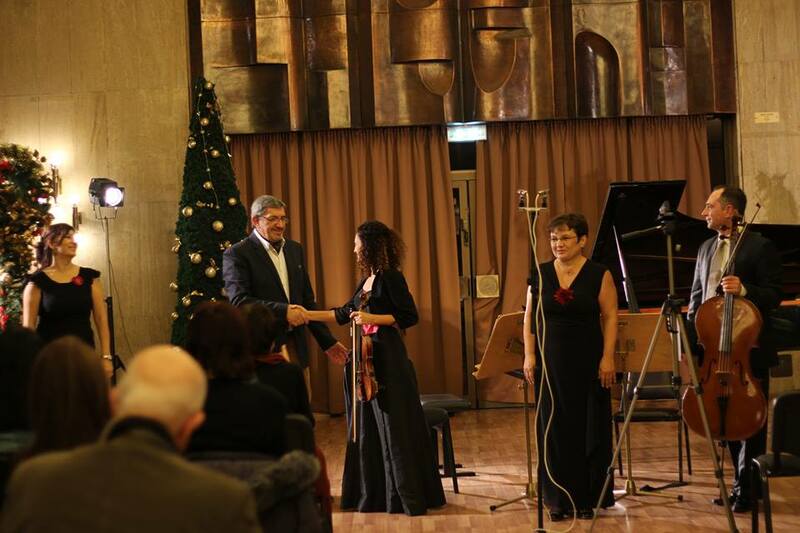 He currently teaches in the "Music" and "Theatre" departments of New Bulgarian University as well in the Faculty of Philosophy of the Sofia University "St. Kliment Ohridski" and in the National School of Music "Lubomir Pipkov" - Sofia. 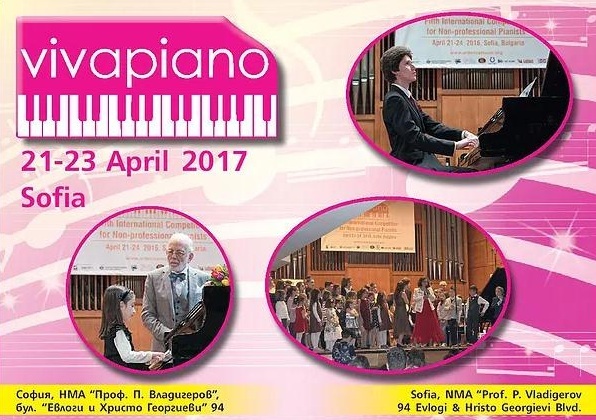 In 2009 he was appointed associate professor in Composition and Harmony and at the New Bulgarian University. His artistic career started in the beginning of the eighties. At the same time he did research work in the field of musical theory, concrete and electro acoustic music as well as research in the field of ancient and Far-Eastern music. He is author of scientific and theoretical articles in music, as well as of publicist and critical reviews in scientific and musical periodicals, mainly in the sphere of the contemporary arts, the aesthetics of modernism and postmodernism, communications in the music, musical semiotics and the theory of contemporary music. He has won many international and national awards, including the Grand Prix of the European Broadcasting Union (1985), the Golden Harp Prize(1985), the “Jeunesses Musicales” Prize (1985), the Special Prize of the Union of Bulgarian Composers (1986), the Carl Maria von Weber International Prize of Music (1989), the Composer Award in honor of the Sofia National School of Music Centenary. 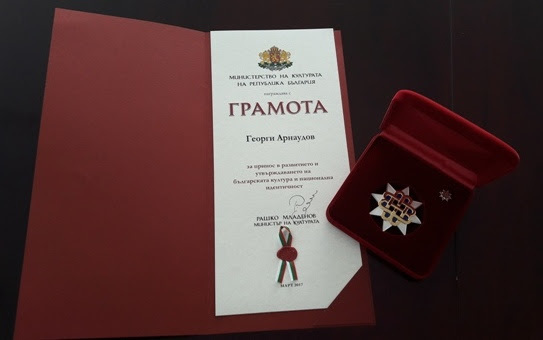 In 2017 Arnaoudov was awarded with the Ministry of culture’s “Golden Age” - Star award for his contribution to the development and the flowering of the Bulgarian culture and national identity. Compared in the beginning to composers such as Scriabin, Messiaen or Part nowadays Arnaoudov is known as one of the most distinctive European composers, creating a music of stasis, a new kind of intense minimalism "that tells no conventional stories but rather meditates on an idea. His instrumental works have distinguished him as a modernist innovator, one who looks at musical instruments as total items capable of many sounds, overtones and resonances. Many have commented on the spiritual side of Arnaoudov music, and indeed mysticism and ritual are two elements present in much of his work. Also influential has been art, cinema and literature, with sources of inspiration including Rene Magritte, Tarkovsky, James Joyce or Jorge-Luis Borges. Gheorghi Arnaoudov’s works have been released on many CDs under the labels Gega New, BNR (Bulgaria), Concord Records, Labor Records (USA). "Bulgarian composer Gheorghi Arnaoudov has forged a profound body of work deeply rooted in minimalism and, at the same time, creating an intensely imaginative, vibrating sound world that constantly defies convention. His vital use of a variety of literary sources, aesthetic ideas, and collaborations with other art forms distinguish his music in today’s European concert culture..."
"A genuinely surprising and beautiful disc..."
Tianjin Grand Theatre Concert Hall, 7.30 p.m.
Munich, Wednesday - 5 April 2017, 19.30 a.m.
Sofia, Friday - 3 March 2017, 11.30 a.m.
Yambol, Sunday - 5 February 2017 11.30 a.m.
National Palace of Culture, Hall 6, 7.00 p.m.
"Filip Kutev" Concert Hall 7.00 p.m.
City Art Gallery 7.00 p.m.
Phantasmagorias IV "Brahms versus Wagner"
"Katia Popova" Hall 7.00 p.m.